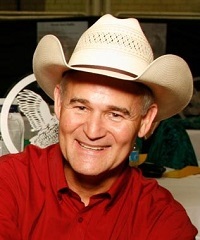 Education: Dr. Perkins is a 1981 Graduate of Texas A&M University with a bachelor degree in Biomedical Science, Veterinary Science and a doctorate in Veterinary Medicine. Dr. Pancho Hubert started their own practice, Tejas Veterinary Clinic in 1998.
time enjoying their 6 grandchildren. genealogy, gardening and marksmanship in his free time. He is Pictured here with his Anatolian Shepard (Zena) when she was a puppy. Animal Science, Veterinary Science and then his doctorate in Veterinary Medicine. with Dr. Robert Perkins at Tejas Veterinary Clinic in 1998.
a member of the CBVMA as well as the AVMA for more than twenty years. of the IACUC committee of TAMUK. He is also the TVMA/College of Veterinary Medicine Liaison. 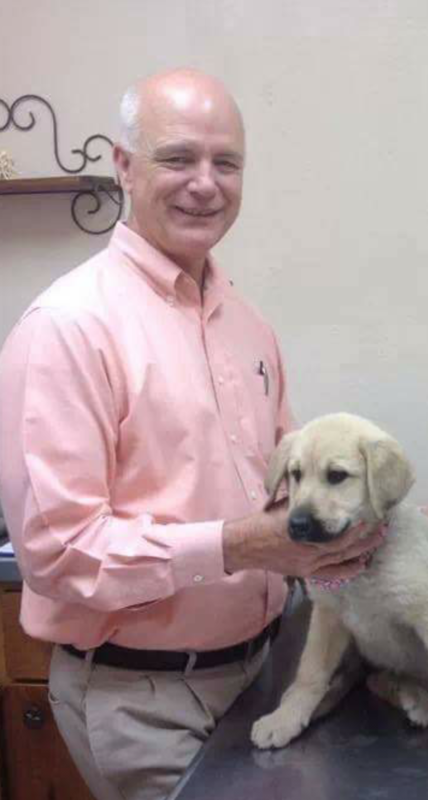 Dr. Hubert has also served as President of the Coastal Bend Veterinary Medical Association. His newest undertaking is being President of the Kenedy Pasture Company. Dr.
Dr. Karin Hinojosa attended the University of Minnesota and continued on to graduate from Ross University School of Veterinary Medicine in 2002. 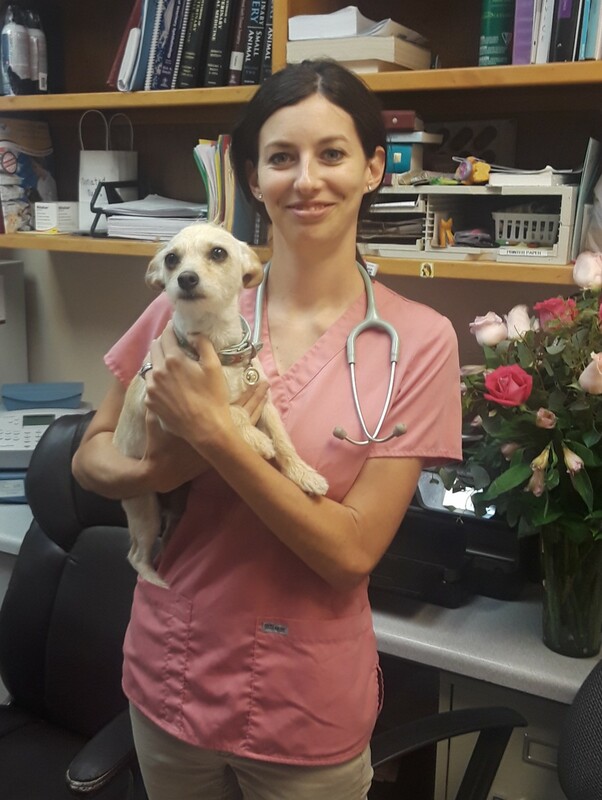 While in Veterinary school she met her husband Dr. Edward Hinojosa and they married in 2005. They now have two children, Edward and Olivia. Edward is a budding baseball player and hunter while Olivia is participating in dance and gymnastics. The Hinojosa family has two cats, Puss-n-Boots and Barbie, as well as a new puppy named Tess. Tess brings so much joy to the family since losing their family dog, Lynda, last year to cancer. With two young children, Dr. Hinojosa is constantly on the run with baseball and dance class but manages to devote her time and care to her patients. Dr. Hinojosa has served as President of the Coastal Bend Veterinary Medical Association and has been an associate veterinarian at Tejas Veterinary Clinic since 2002. Dr. Kayla Griffin was born and raised on a small farm south of Nashville, Tennessee. She graduated from the University of Tennessee College of Veterinary Medicine in 2014. After graduating she re-located to Kingsville and started at a small mixed animal practice. After meeting her husband and marrying in 2017 they moved to the Calallen area. They have four dogs, Bear, Tex, Harley Quinn, and Nacho and a cat named Brisket.